Holy moly, we're at 215 $235 for Erin! You guys are either really generous or really hate spiders. Just wanted to share with everyone in case you are curious. Thank you, thank you, thank you! In other news, the requests for sorority stories have not gone unheard. Coming up: posts about rush, more dorm pranks, and yes, the Infamous Loofah Tale. oh, the loofah. i can't wait to hear it...again, and again, and again...it just never gets old. or what about melinda tales? i love me some melinda. but i guess you actually have to hear her accent to do that sweet friend justice. or what about you know who, doing you know what, with you know who, you know where. or maybe we'll just laugh about that to ourselves. can't wait for the memories to flow! I want you to go aallll the way back to High School and tell about the debut of the Lion and the principle's toupee coming off in front of the entire student body!! !Classic moment!! yeah, it would def brighten my day if you could talk some about 'ol get-r-dunn hall. I don't think I know the one about you know who doing you know what with you know who you know where. 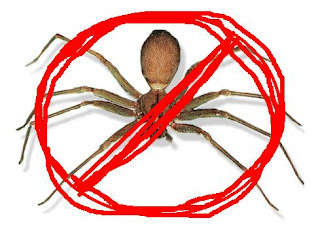 I am VERY excited about upcoming posts, and pleased that your readers are so anti-spiders and pro-generosity. Yay! (sigh). That should NOT be the funniest thing that happened to me, according to you! Sad day. The old roomies (read: sane ones) and I had so many more hilarious times! Stealing Berta Dunn from the lobby and keeping her for months. Stealing boxes from WM so we could pack up for the summer. The Duck on my 21st. I demand stories from Amy, Corrie, and Reba!